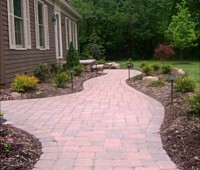 Residential landscapes have to be aesthetically-appealing and functional all at once. 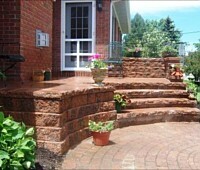 This means, they will have to be planned well, and installed using high quality materials. 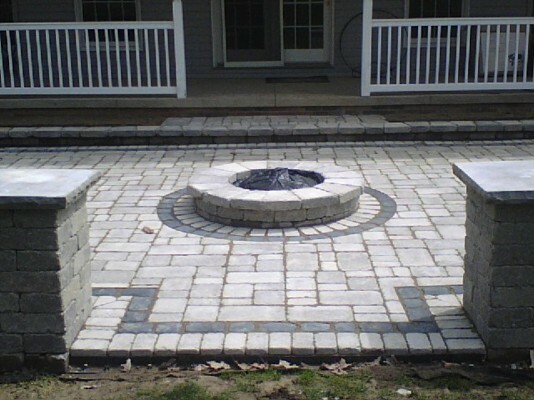 When Stoney Creek Landscaping handles any type of landscaping job, in and around Creston, Wadsworth, Strongsville, Medina, Norton and Wooster, you can be assured that the final product will be impressive in every way. We are highly creative in our approach to our work, focus on providing customized solutions and provide the best services, regardless of how big or small the job is. We have also catered to a large number of customers across Barberton, Seville, Orville, Brunswick, Cuyahoga Falls and Green. - There are times when the land on your property doesn’t have the right grading or it may have steep slopes. These make for a very interesting landscape flow; however, if you want a driveway, pathway, outdoor kitchen or any other feature installed there, these slopes will have to be leveled. It’s also very important that retaining walls made either of CMUs, concrete interlocking blocks, or natural stone or bricks, be installed there, to provide support to the excavated slope. 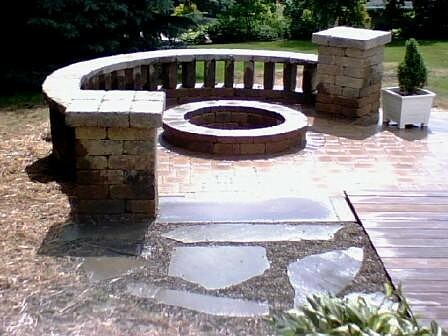 - These are almost an integral part of any landscaping project. 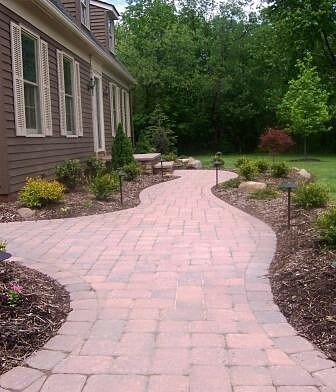 We can design and build the kind of driveways and walks and paths you want, using brick, natural stone or concrete paving stones. 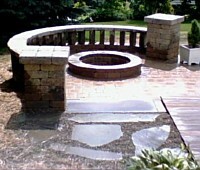 - many of our customers like to install patios on their property. 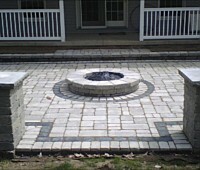 We design and install the kind of patios you want and can pave them with brick pavers or any other paving stones you like. We use high quality concrete, bricks, tiles, stone, CMUs, paving stones and other materials in our hardscape installation work. This ensures the longevity of the landscaping. 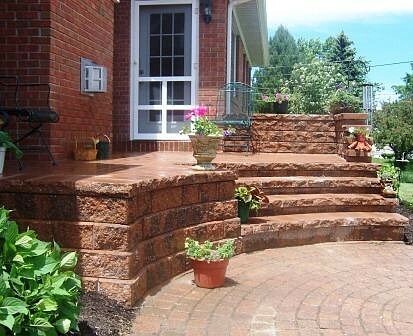 Masonry features are an excellent addition to any landscape, they provide the garden and yard spaces support and become the foundation on which the other elements will be built on. 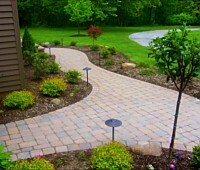 It also helps demarcate all the spaces in the landscaping well, and prevents soil erosion too. 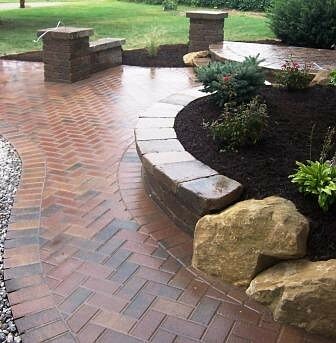 We are CERTIFIED ICPI (Interlocking Concrete Paving Institute) Installers, and you can rest your hardscapes will be of the highest quality. 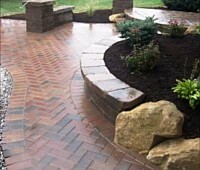 For any more information about our services and hardscape installation cost, call Stoney Creek Landscaping at 330-466-3181. If you prefer to contact us via email, please send us your queries via this online form. You can also request an estimate via our home page and we will respond shortly.